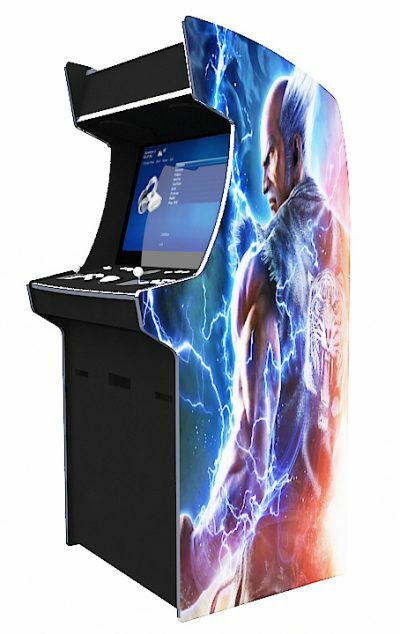 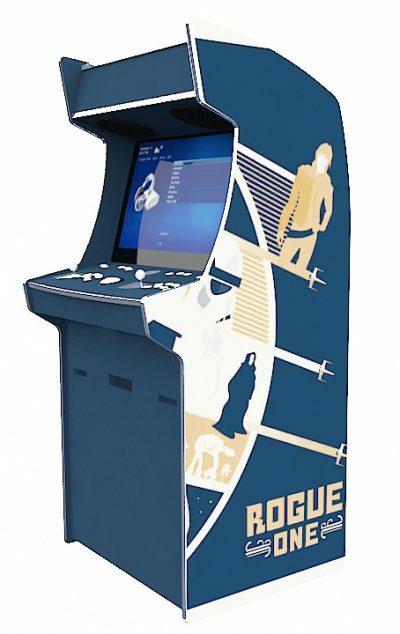 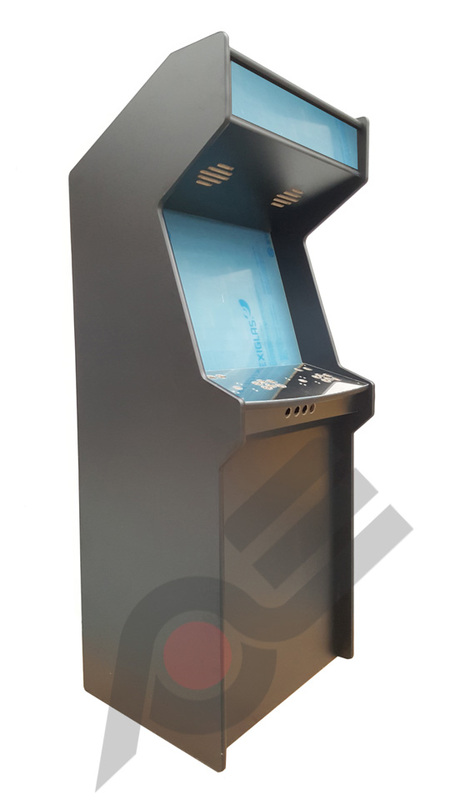 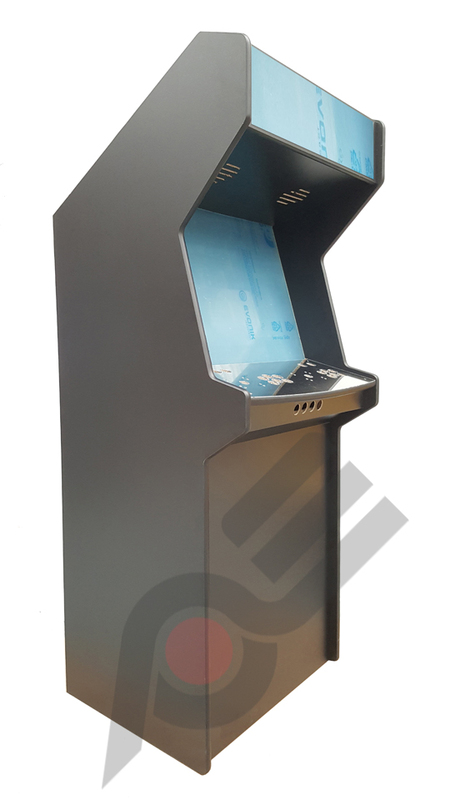 The AES-32 is Inspired by the larger cabinets of the classic arcade, this machine delivers an authentic retro game-play experience, combined with benefits of an advanced modern machine. 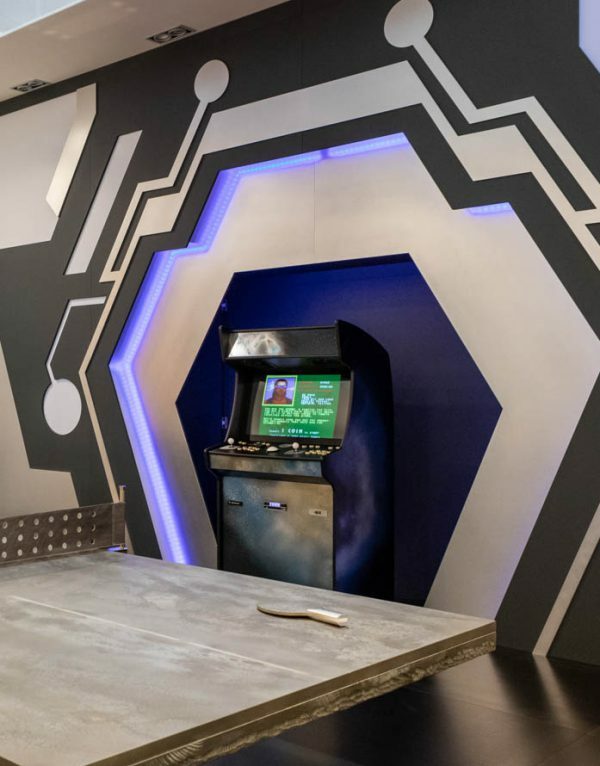 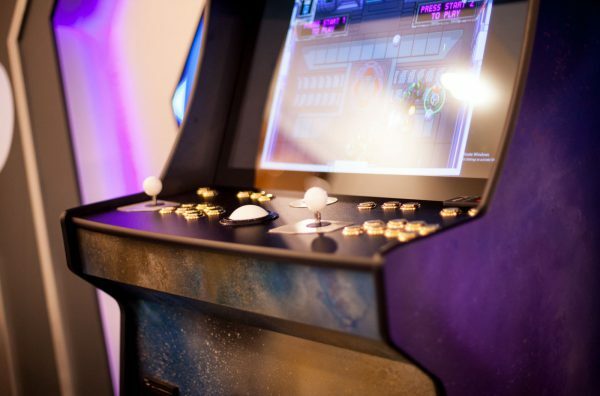 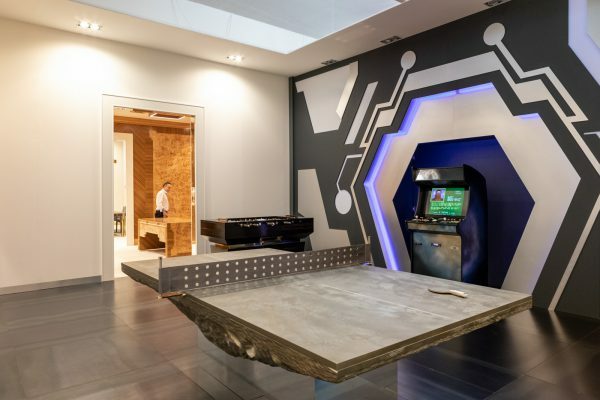 Each of our machines are custom made for each customer and play exactly how they were meant to be played in the arcade. 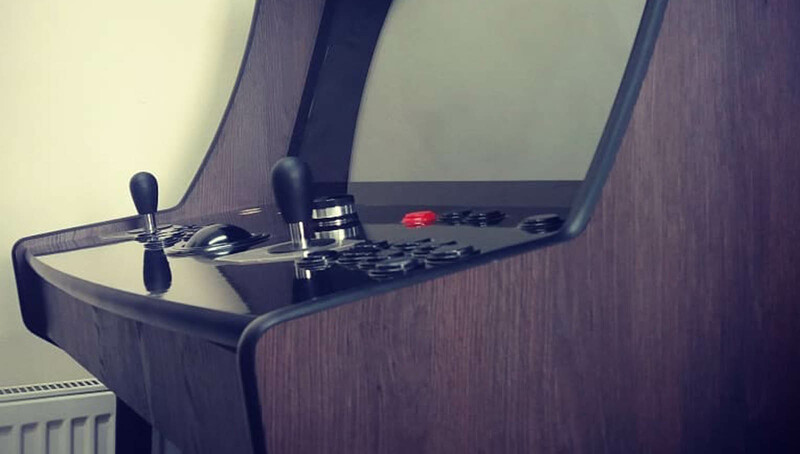 The AES-32 features a classic, retro style arcade design with an impeccable finish. 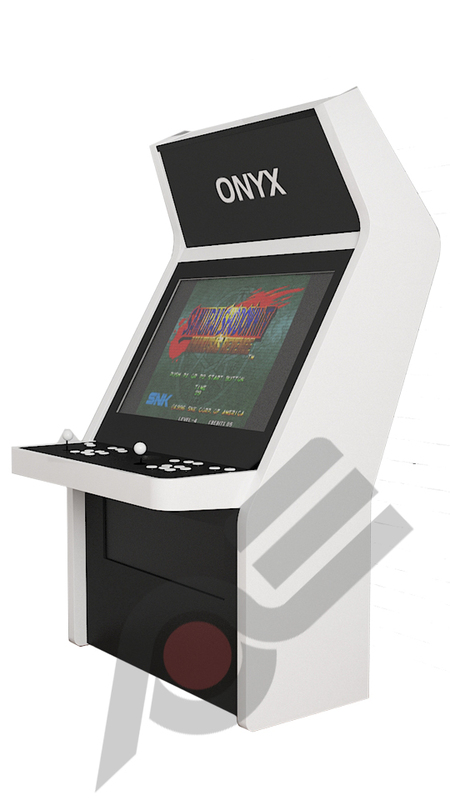 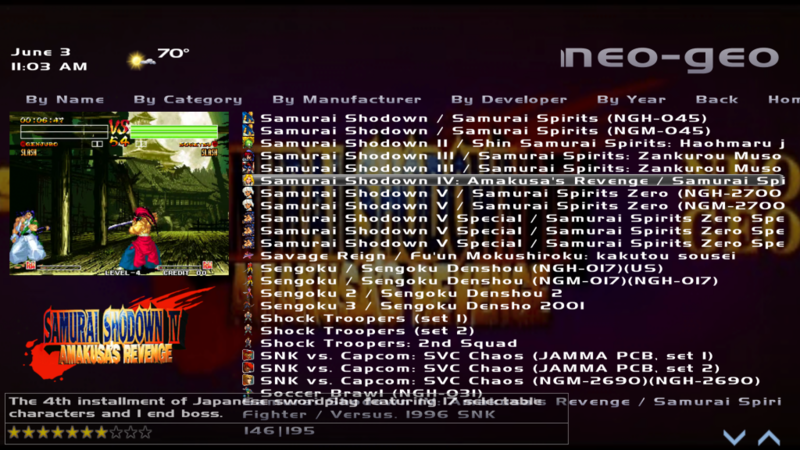 We match high quality Sanwa competition parts with custom made fittings and leading brand technical components as standard to create the highest quality arcade machine on the market. 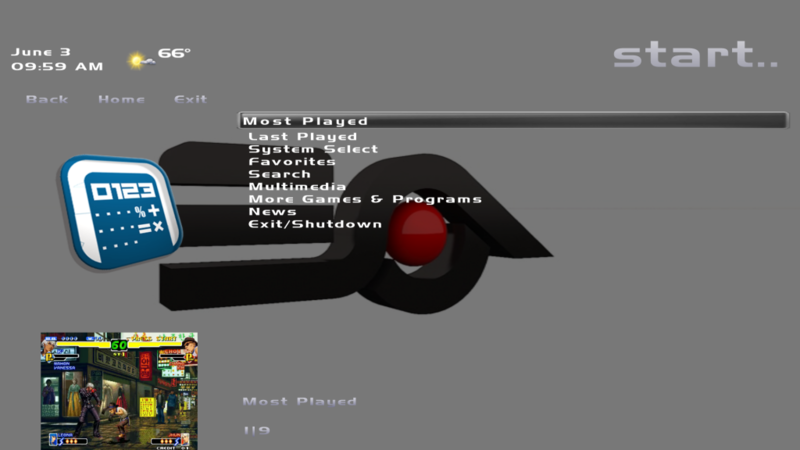 With SSD drives and intel CPUs you will be playing all of your favorite games in seconds. 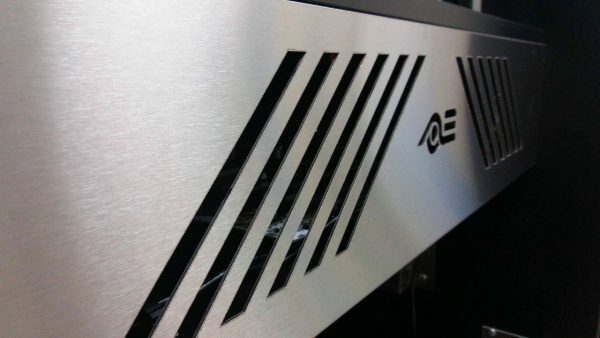 The AES-32 is fitted with a memory card bay as standard. 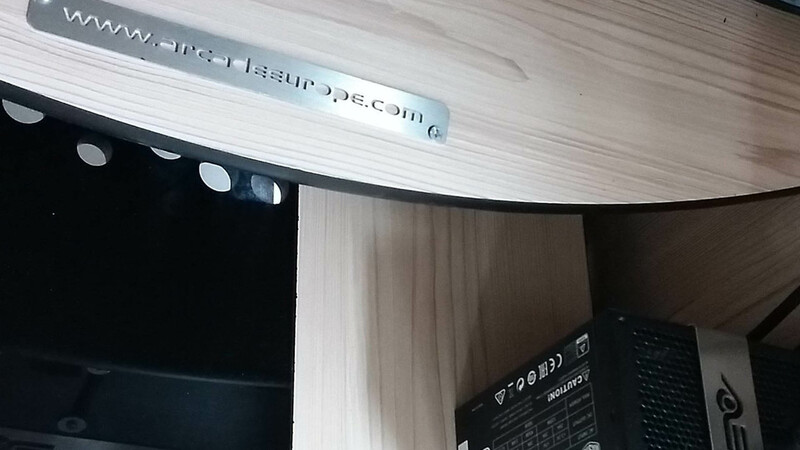 This includes a hot swappable SSD/HDD bay and a USB flash hub, allowing you to upgrade your system via the quick release supported memory card bay. 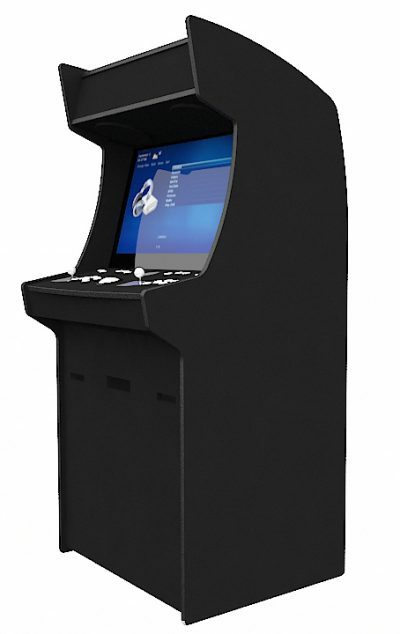 The AES-32 arcade machine features high end Q Acoustic speakers. 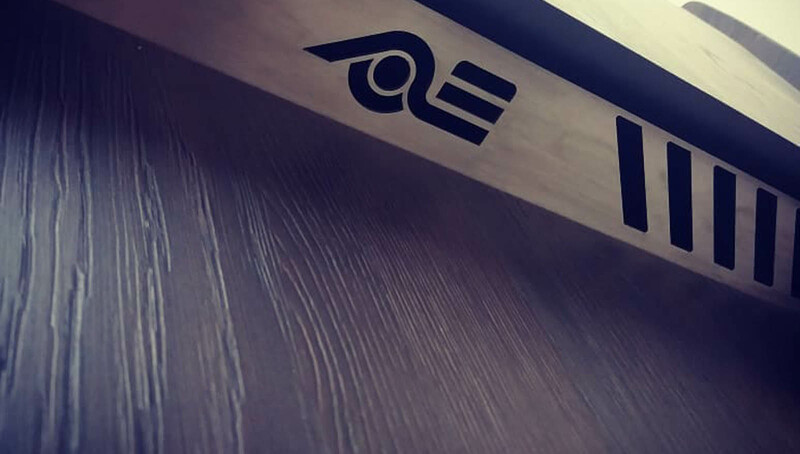 The Q Acoustics 6.5″ Professional in-ceiling speakers feature the latest stereo speaker technology and are subtably instaled into the AES-32 Marquee with magnetic grill cover. 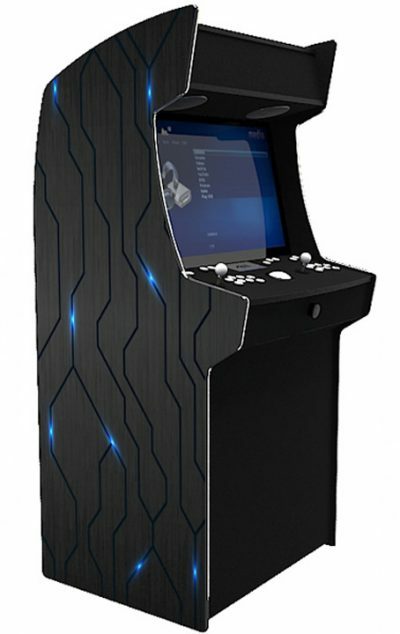 The speakers are controlled via the multi function dedicated amplifier on the front of the arcade kick plate. 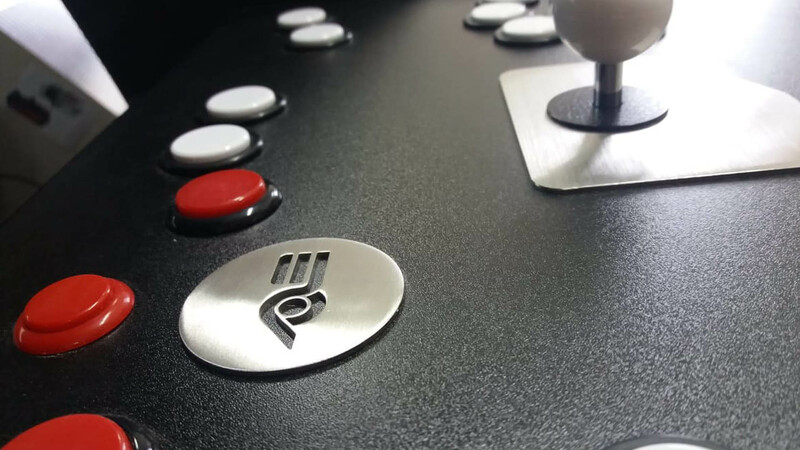 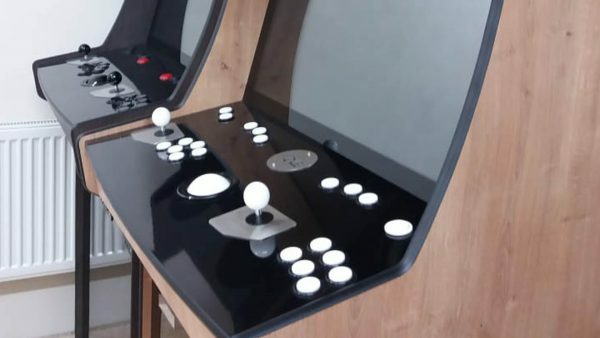 This AES-32 series is the biggest of all our machines boasts the the Arcade Europe 2 button menu so you can easily scroll through all your favourite games, systems and various options using the custom designed control panel.